These Merca 2.0 prizes are awarded to the most outstanding companies in marketing industry domestic and international. LEXIA wants to share with you this news that fill us with joy and pride of having been awarded for the second time by the renowned magazine Merca 2.0 for Best Market Research Agency, the first time was in 2008. Happy New Year 2015! We were pleased to say goodbye to 2014, a busy year full of achievements, challenges and learned lessons. This year we expect to continue with success and working to improve all areas of our life. LEXIA takes this opportunity to send to all our customers, suppliers, readers, contributors and friends a message of solidarity, joy, and happiness for this New Year. LEXIA wants to share with you this new that fill us with joy and pride of having been awarded for the second time by the renowned magazine Merca 2.0 for Best Market Research Agency, the first time was in 2008. These Merca 2.0 prizes are awarded to the most outstanding companies in marketing industry domestic and international. Thus, the leading magazine honors marketing agencies, media and strategies more relevant this year. In the twelfth edition of the award, the editorial team selected players in the industry that this year were protagonists thanks to the effectiveness of their campaigns, achievements and recognitions met, as well as the growth and impact they had at a business level. This recognition is an evidence that the research consultancy is teamwork of a group of intelligent individuals, analyzing and observing tastes, feelings and attitudes to understand and decipher various phenomena of reality. We also thank, personnel administration, operations and support areas for their continued commitment, especially for being professionals. Thank you all, today, once again we are “The best market research agency 2014” Congratulations! 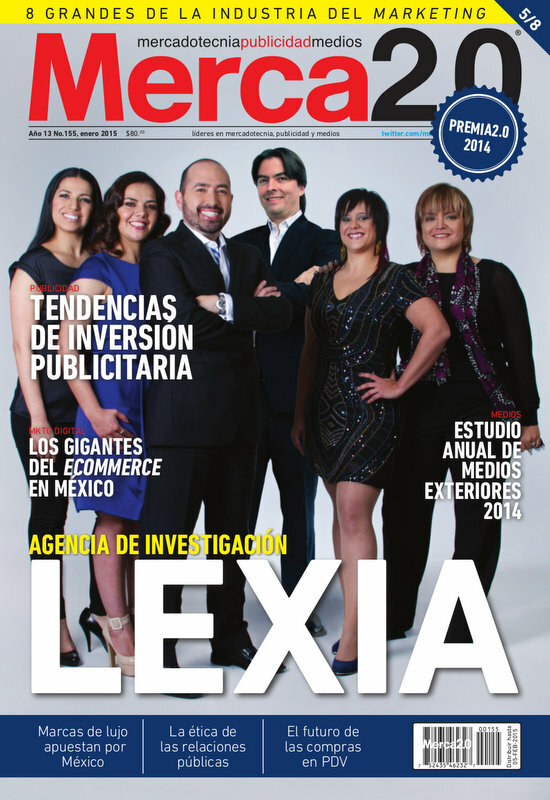 Cover of January 2015 issued by Merca 2.0 Magazine to recognize the winners of the 2014 edition. 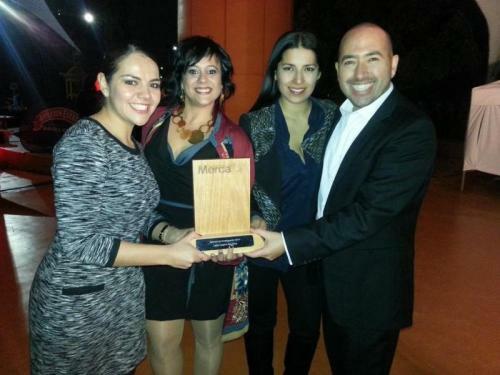 Some of our managing partners holding the trophy of Merca 2.0 Prize in one of the moments of the ceremony. From left to right: Rosario Zavala, Laura R. Velamazán, Aline Ross Gurriola and Claudio Flores Thomas, Vice President.